SANTA FE – Hunting seasons opened Sept. 1 in New Mexico for doves, grouse, squirrels and band-tailed pigeons, with some rule changes that provide more hunting opportunities. 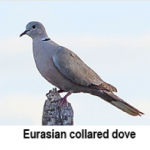 Beginning this year, .177 caliber or larger pellet guns are among the legal sporting arms for Eurasian collared doves, dusky grouse and squirrels. The State Game Commission approved the change Aug. 28 to give hunters more opportunities to bag those species, partly due to the ongoing shortage of .22-caliber ammunition. The Game Commission also increased the hunting season for Eurasian collared doves – an invasive, non-native species – to year-round with no bag limit. 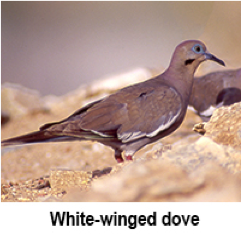 Hunters must leave one wing attached to each collared dove while in the field so conservation officers can differentiate the birds from white-winged or mourning doves, which have a bag limit of 15 birds a day. Eurasian collared doves are identified by the distinct black and white collar on the back of their neck. 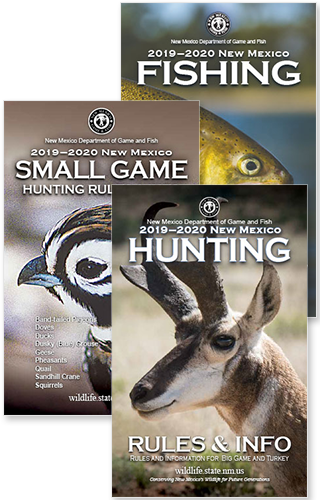 For more details about hunting small game and waterfowl in New Mexico, please visit the Department of Game and Fish website, www.wildlife.state.nm.us, rules and information booklets are available that include maps, season dates, bag limits and more. 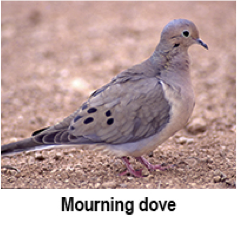 Information also is available by calling toll-free (888) 248-6866.